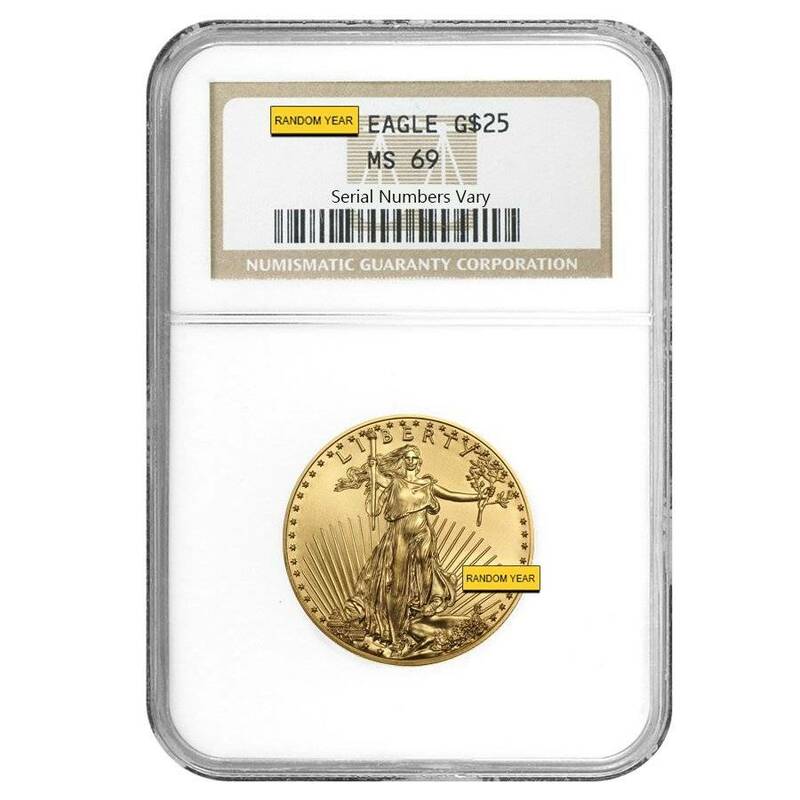 We're happy to offer this 1/2 oz $25 Gold American Eagle NGC MS 69 (Random Year) here at Bullion Exchanges. 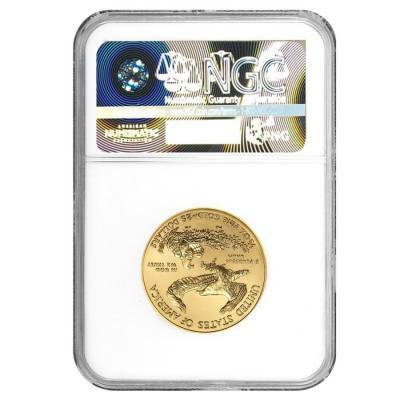 This coin is graded by NGC as Mint State 69. For every $1 spend, you will earn 1 Bullionaire Buck which is equivalent to $0.001 off a future purchase. 681 BB = $0.68.